While the Samsung Galaxy S8 proved to be a success, the internet is now looking forward to the Samsung Galaxy S9. The next year Samsung flagship is due to be unveiled soon. As we await the device to launch, there are already leaked renders of the smartphone. 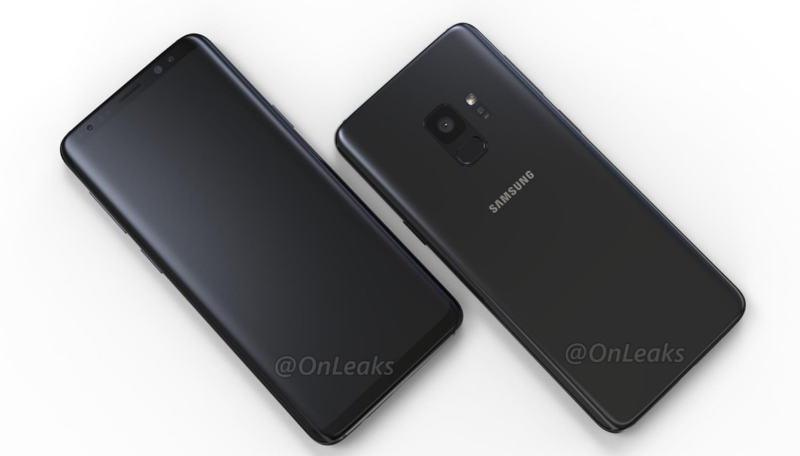 Months before the Galaxy S9 launch, new leaked renders on MySmartPrice and OnLeaks give a clear idea about the next Samsung flagship’s design. While the Samsung Galaxy S9 is there, you can also see renders of the Samsung Galaxy S9+, tipped to come with dual cameras and more RAM. While the specifications are not much of a surprise now, we can talk about the design of the upcoming Samsung flagships. According to the renders, the Samsung Galaxy S9 comes with a similar infinity display as its predecessor. However, the bezels look toned down compared to the S8. Also, the fingerprint sensor on the device is now placed below the camera module. Judging by the grip of the Galaxy S8, this change makes the fingerprint reader more accessible. Also, you won’t end up smudging your camera lens each time you reach for it. However, there is another render of the phone, showing similar fingerprint placement as the previous generation. Also, there is speculation that the Samsung Galaxy S9 Plus will come with dual cameras. The standard variant will sport the single 12MP rear camera. Coming to specifications, we can safely say that the Samsung Galaxy S9 will be powered by the Exynos 9810 processor Globally and the Snapdragon 845 processor in the USA. Also, the Galaxy S9 is expected to feature 4GB RAM and 64GB storage, while the Plus variant may come with 6GB RAM and 128GB storage. Both devices are expected to sport microSD card slots too.